CHARLOTTE, N.C. – No, this isn’t the Quail Hollow of old, the bomber’s paradise that served up 20-under winning scores and back-nine shootouts. Only 24 of the 156 players broke par Thursday on a day that should have been ideal for scoring, with temperatures in the mid-80s and little wind. The best score in the first round of the PGA Championship was 4-under 67, the first time since 2008 that no player in this event opened with a round of 5 under or better. An ambitious 90-day renovation last spring has turned Quail Hollow into a decidedly more exacting test. There’s a 524-yard opener. There’s a par 3, No. 4, that no one besides Joost Luiten (who made an ace) enjoys. And there are fast, firm greens – thanks, SubAir – that require equal parts luck and skill to navigate. Rory McIlroy has played some of the best golf of his career here, winning twice and posting a 61 and 62 along the way. But no one in the field will even sniff those numbers this week. Not with the 6,700-yard venue playing even longer because of the rain-softened fairways. Not with the new Bermuda rough that swallows errant shots. Not with the re-grassed greens rejecting even the highest-spinning shots. “The greens are as firm as I’ve ever seen at a PGA Championship,” said McIlroy, who shot 72. 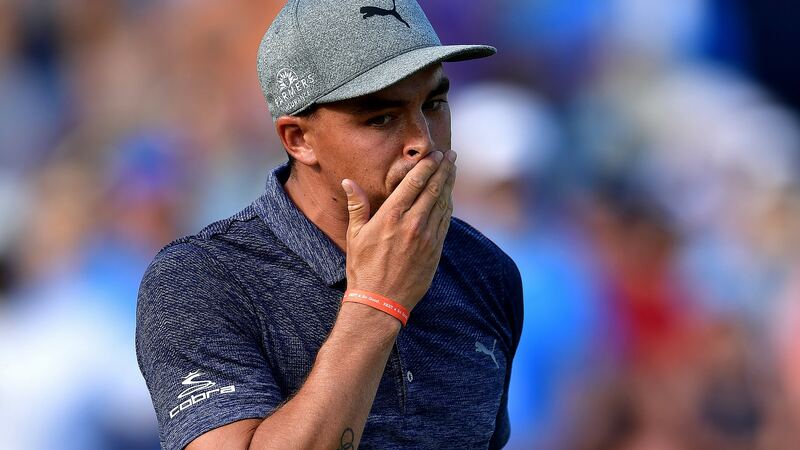 McIlroy played in the afternoon, alongside Rickie Fowler (69) and Jon Rahm (70), when the grain in the greens was even more exaggerated, making it even trickier to hole putts. Some players compared the green speeds to Augusta – only with more subtle slopes throughout. Faster greens lead to more tentative putting, but firmer greens lead to exasperation, that good shots aren’t necessarily rewarded. Rahm pointed to Fowler’s approach into 18, a high, soft cut that landed pin high and still released 15 feet past. This was to be expected, of course. The Wells Fargo event produced an average winning score of 14 under over the past decade, but almost everyone agreed that the player hoisting the Wanamaker Trophy on Sunday will have finished single digits under par. Does it feel as though a U.S. Open will break out here? McIlroy wasn’t about to go that far. The fairways are still generous. The penalty for a wayward drive isn’t as severe. There are still opportunities to score. “But the greens are as firm as a U.S. Open,” he said. Rain is in the forecast for the next three days. Given the way Quail Hollow played Thursday, it will be a welcome sight.